Selamat Hari Raya and Welcom Back To Work! Fortunately There is Another Holiday Coming! August is a special month for me personally. It is also the month in 2012 when H&T is 2 years plus. We just celebrate Raya and will celebrate Merdeka very soon. Let's add another cause for celebration. Cheapest Arduino in Town, shorten into CAT. A well known annual event by H&T. Let's start with a story in 2010. When I was looking for an Arduino only to discover that all supplier no longer sold the official product. The market was flooded with clone (cheap knock of) or compatibles (better quality). At that time there was no official distributor listed for Malaysia. 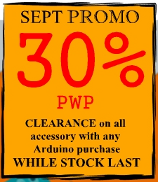 So I went to Indonesia in the hope of acquiring official product from a distributor that was listed in Arduino website. Imagine my surprise to discover what sold online as Arduino Duemilanove was actually a clone. The requirement is to indicate non official hardware with "compatible" notation. For instant "Duemilanove (compatible)". This to avoid confusion among customers as well as differentiate quality hardware between the officials, the compatibles and to some extent the clones. In 2011, a major electronic supplier in Malaysia sold Duemilanove at a steep 50% discounted price. Which turn out to be a compatible. Again, the product is not properly listed. The listing is for "Arduino Duemilanove". It is good for customer to get electronic supplies at cheaper price. But not at the price of misinformation and the possibility of being burned by a bad clone. H&T was established in August 2010, to be the first ever listed official distributor in Malaysia. 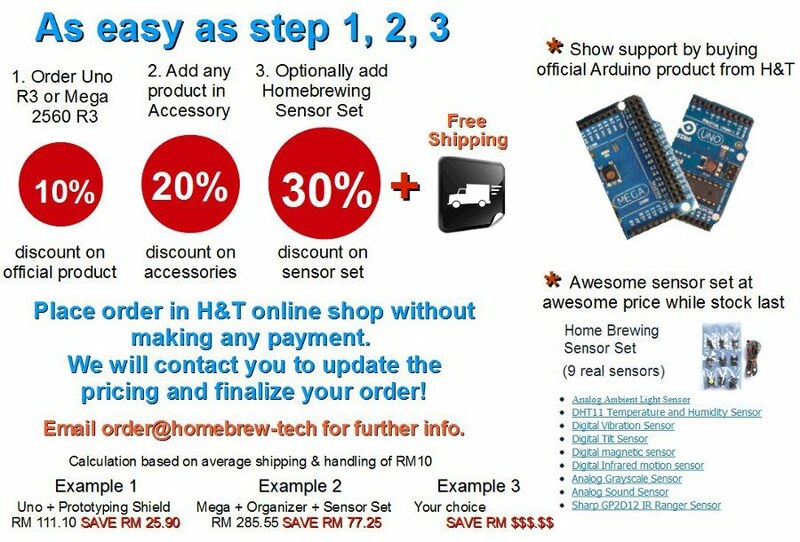 Easily verified by visiting the Arduino Buy page. CAT started in 2011, those who are curious can read the original mission statement here. In the two year period, Arduino flagship product (first Duemilanove and currently Uno) are now more in line with international pricing. Buying it today is like getting 30% discount compared to buying it in 2010. Nowadays, compatibles from trusted supplier have improved significantly. 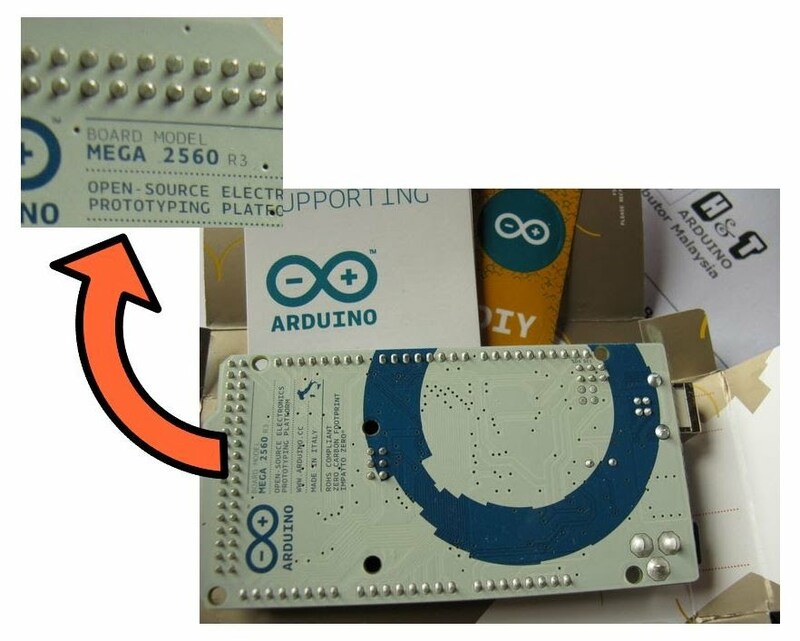 These third party manufacturers continue to innovate using Arduino as a platform. And reap the benefit of being Arduino compatibles by being steadfast with their own branding and product name. With 5 days to 2012, H&T wish you all a happy new year! However much reflection on 2011. Of things undone or DIY project got shelved somewhere in the garage. Lets not that bother us much. Instead let's start 2012 with more cool stuff and plan on doing more home brewing activity. If not for completeness sake, just do it for the fun of it. Perhaps there is something from H&T on-line shop that you have forever want to purchase but wish it is cheaper? Please have a look at bellow list and visit us if something catch your interest!